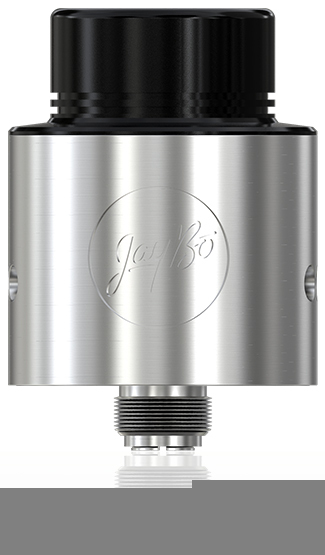 IndeRemix, a new member of JayBo’s RDA series, featuring the detachable structure and wide open wicking system. Apart from the rebuildable coils which can bring the fans DIY enjoyment, stainless steel material and unique top cap with huge vapor also make IndeRemix stand out from others. Detachable Structure for Easy Cleaning: All the components of IndeRemix can be detached, bringing great convenience in cleaning and maintenance. 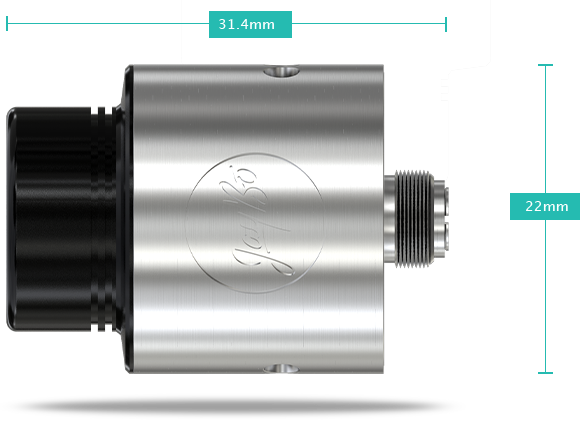 Newly Introduced Clapton Coil: The newly-introduced Clapton coil will provide you with large vapor and nice flavor. Open Wicking System for Rebuildable Coils: IndeRemix has a large build space for ease of wrapping coils, which will bring you DIY enjoyment. No Thread Connection: Instead of the traditional thread design, the application of no thread connection makes the assembly much easier. 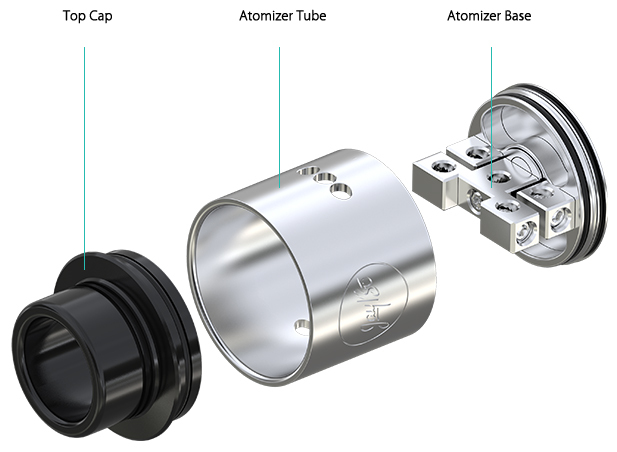 Top Cap with Larger Hole: The wide top cap can be used as a mouthpiece, and great vapor will be gotten successfully.